Curious about fall safety for kids? Precautions at home and on the go can help reduce your child's risk of falls and injuries. Every parent knows how hard it is to protect a child from injuries related to falling. When a baby learns to walk, preventing falls requires constant supervision. Later, a toddler might tumble while trying to get to the cookie jar — and an older child might slip while rocketing up hardwood stairs in socks. Still, there's plenty you can do to promote fall safety and minimize injuries when falls happen. Windows. Most children 5 years old and younger can fit through a 6-inch opening. To prevent falls from windows, install a stop that prevents windows from opening any further than 4 inches. Alternatively, install window guards that cover the lower part of the window. Other prevention strategies include opening double-hung windows only from the top, moving furniture away from windows, and supervising children in a room with open windows. Don't rely on a window screen to prevent falls. Stairs. Install safety gates at the top and bottom of staircases. Put doorknob covers on doors that lead to staircases, such as basement doors. Install lower stair rails that are easier for younger children to reach. Don't leave clutter on stairs. Porches and balconies. Don't let a child play unattended on a balcony, porch or fire escape even if there are railings. Lock doors and windows that provide access to these areas. Baby furniture and equipment. Use preinstalled safety straps on a changing table or highchair. Select a highchair with a wide base that makes tipping less likely. 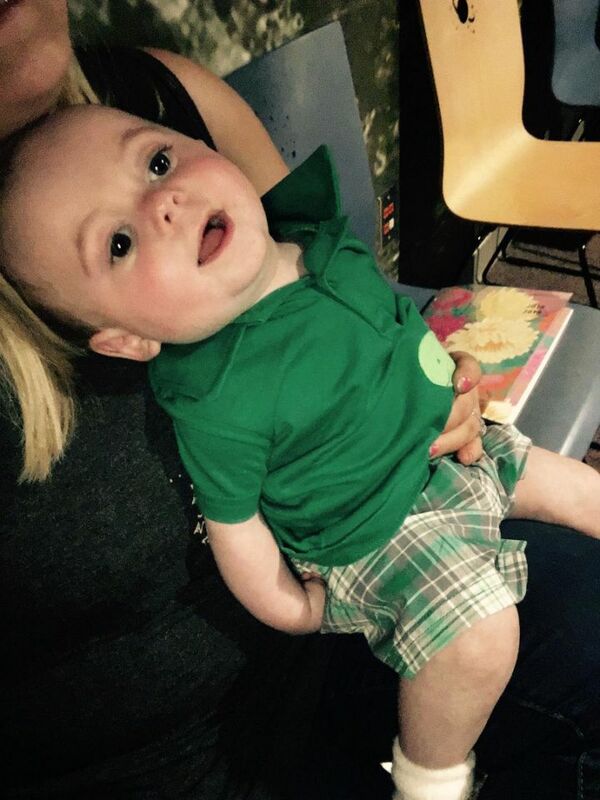 Don't leave a child unattended on a changing table or in a highchair. Beds. Install safety rails on beds for toddlers. Bunk beds should be used for children who are six or older. Safety rails on bunk beds should be on both sides of the bed, and gaps between rails should be 4 inches or less. Use a nightlight near the bunk bed stairs or ladder for safe use at night. Other furniture. Don't leave a baby unattended on furniture. Place bassinets or portables car carriers on the floor, rather than on tables, counters, beds or other furniture. Place bumpers or guards on sharp corners of furniture to protect toddlers when they fall. Bathtubs. Use a bathmat in tubs to lower the risk of falls. Don't leave your child unattended in a bath. Use a nonslip bathmat and clean up wet floors promptly. Baby walkers. 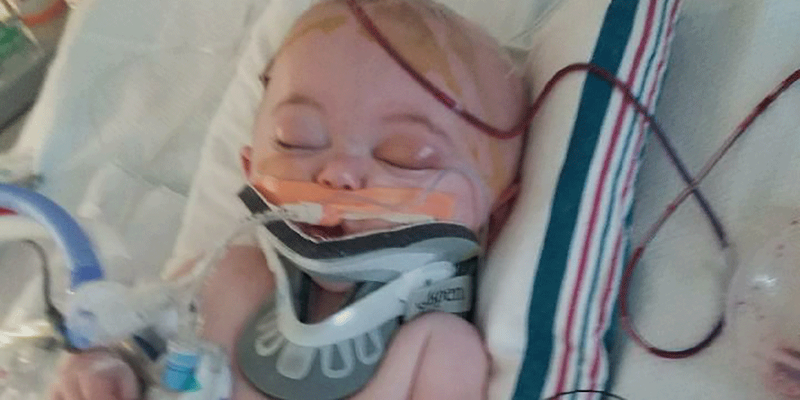 The American Academy of Pediatrics recommends not using baby walkers, which can lead to falls. Consider alternatives, such as a stationary walker center or activity center. Nightlights. Use a nightlight in your child's bedroom, the bathroom and hallways to prevent falls at night. Strollers. When shopping for a stroller, look for one with a wide base that is less likely to tip. Always use the safety harness when your baby or toddler is in the stroller. To avoid tipping the stroller, don't hang bags from the handles. Check the weight limit of strollers that have a place for older children to stand in the back. Shopping carts. Shopping carts can tip easily. Only put a child in the designated seat and use the safety belt. Don't let your child sit in the basket, stand in the cart or hang from the sides of the cart. An adult should push a cart when a child is in the seat. Playgrounds. Seek out playgrounds with shock-absorbing surfaces, such as wood chips, mulch, rubber or sand. Falls on cement, packed dirt and turf are more likely to result in injuries. Steer your child to age-appropriate activities to help prevent falls from equipment. Helmets and other protective gear. Always have your child wear a helmet while biking, inline skating, skateboarding or riding scooters. When using skates, a scooter or a skateboard, your child should wear guards for the wrists, elbows and knees. Escalators. Hold your child's hand when using an escalator. Watch for loose clothing, shoestrings or shoes such as flip-flops that can cause tripping. Don't let your child sit or play on an escalator. Don't use a stroller on an escalator. Watch for slippery surfaces. Encourage your child to approach wet, dark and paved areas with caution in cold temperatures. Make sure your child wears shoes or boots with traction in bad weather. A heavy or bulky coat can provide cushioning in the event of a fall. Teach your child not to run around a swimming pool. Fall safety for kids: How to prevent falls - Mayo Clinic: Fall safety for kids — Prevent falls by taking these simple precautions. In the days since a federal judge’s ruling striking down the Affordable Care Act (ACA) in its entirety, there has been a flood of punditry on the merits of the decision and its potential impact. While that makes fun reading for some, for others without law degrees it can be a bit overwhelming. So here are four key things that practicing physicians should understand and share with patients who ask. Keep it in perspective. While the ruling, from the U.S. District Court for the Northern District of Texas, is unfortunate, it’s important to put it in context. This Texas v. United States decision was based on the court’s finding that the 2017 Tax Cuts and Jobs Act—which zeroed out the tax penalties associated with the ACA’s individual mandate—renders the mandate unconstitutional. The judge further concluded that since the mandate was an essential part of the ACA, the entirety of the law is unconstitutional. This week, the AMA—along with the American College of Physicians, American Academy of Family Physicians, American Academy of Pediatrics, and the American Academy of Child and Adolescent Psychiatry—filed an amicus brief in response to the court case, Texas v. United States. With this action, the AMA opposes a lawsuit that would undermine the policies supported by our House of Delegates, including expanded health insurance coverage and other important patient protections. Unfortunately the AMA represents only 30% of American physicians, yet it pretends to represent all American Physicians. It also portends to represent the best interest of patients. The reasoning is rather circuitous, bathed in moral and ethical obfuscation. Sounds dire. Does that mean the 20 million people who became insured since the ACA’s passage are now out of luck? Definitely not, because the court did not issue an injunction, so that means the law stands for now. In addition, the Trump administration announced that it will keep administering the law until the U.S. Supreme Court weighs in on the matter. And that won’t happen until 2020 at the earliest, because other legal steps need to take place first. There seems to be a plethora of wrist borne remote monitoring offerings now coming on to the market. Apple Watch, ver 4.0 offers EKG monitoring with a monitoring and notification feature. This adds a new function to the already ubiquitous Apple Watch. Unfortunately the older Apple Watch cannot be upgraded, requiring a rather expensive new purchase. The Apple Smart Watch ver 4.0 has an FDA approval, but is not completely certified as a medical devide. There are however several devices coming to market. 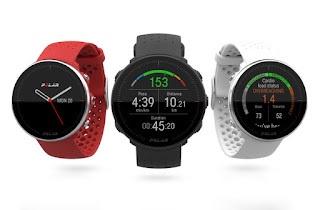 In September, Polar announced its latest wearables — the Polar Vantage V and the Polar Vantage M, both of which provide a new optical heart rate sensor, additional tracking metrics, and more. The fitness watches are now available for purchase and are shipping out for those who pre-ordered either one at launch. Both the Vantage M and Vantage V can be bought through Polar’s website. The Vantage M will cost you $280. The Vantage V is a bit more pricey, coming in at $500 in either black, orange, and white, in sizes medium and large — small bands can be bought for about $10. You can also opt for the heart rate bundle, which comes with the Vantage V and Polar H10 heart rate monitor for $50 more. For the most part, the Vantage M and Vantage V are packed with the same features. Under the hood, you will find Polar Precision Prime — Polar’s new wrist-based heart rate technology. With three sensor types and new electrode sensors to measure skin contact, both wearables are expected to have higher accuracy and a quicker response time when it comes to measuring heart rate. 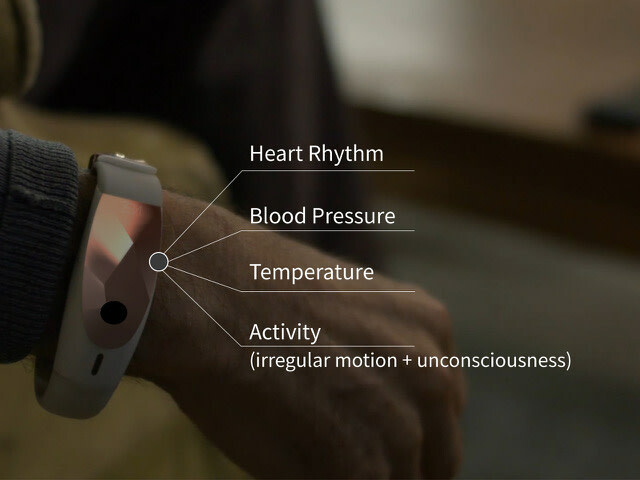 Both watches also offer continuous heart rate and activity tracking. That way, even on days you’re not training, the Vantage M and Vantage V provide you with daily calorie burn and insightful data in terms of your everyday activity. Polar's offering will set you back $250 to $500 depending on the options. 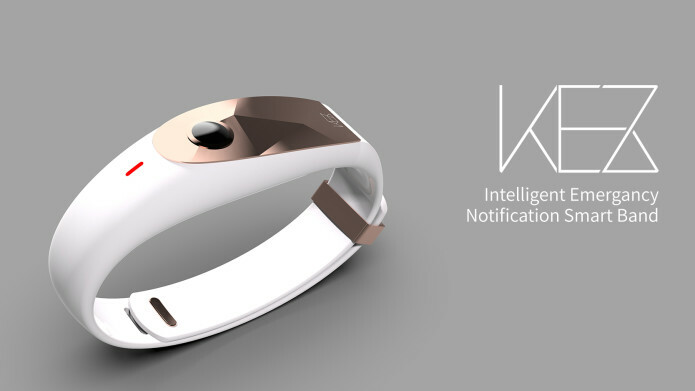 On Indiegogo A KEZ - Intelligent Emergency Notification Smart Band based on Bio-sensing is in development. In an emergency, KEZ offers both 360° real-time video to immediately assess the situation and GPS location tracking so you can rush to your loved one’s side. Triggered by an automated bio-sensor, KEZ requires no action on the part of the person in distress. Capable of measuring bio-rhythms including heart rate, blood pressure and body temperature, KEZ’s patented algorithm will monitor bio-data in real-time to only alert you in times of abnormal readings or urgent emergency. Sometimes there is no time to explain the emergency. Equipped with a 360° fish-eye camera, when an emergency is triggered, KEZ will automatically begin to record the situation. Activated only in emergency situations, the camera will record for 15 sec. in a 360°FOV (field of view) and automatically transmit the video to the guardian. Beyond alerts and a video record, KEZ will also determine the exact location of the wearer in crises. 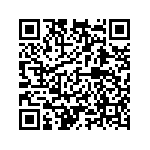 Real-time GPS tracking provides the exact address and map location. Even if they are unable to tell you, never feel hopeless and always know where to go respond to. When an emergency is triggered, KEZ will record and transmit an emergency alert in 40 seconds or less. SOS alert will include video of the surroundings and recording of the immediate danger. Appraise the situation & take action immediately. There are a plethora of fitness trackers offered by such firms as Nike and other sport related companies. KEZ - Immediate Emergency Notification Smart Band | Indiegogo: KEZ - Intelligent Emergency Notification Smart Band based on Bio-sensing | Check out 'KEZ - Immediate Emergency Notification Smart Band' on Indiegogo. No matter, today an initial visit to a 'primary care doctor' runs about $125.00 and a followup is around $75.00. 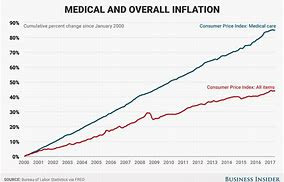 I am often told medical care is so expensive today because we can treat almost anything, and have drugs we had not back in 1950 (except for maybe, penicillin) and that is why health care is so expensive. It's a 'simple' explanation of how we arrived at this point in time. Prior to 1965 there was no Medicare, some seniors had retirement benefits from their employers along with their pensions. Once Medicare became established the Federal government infused billions into the health system, creating inflation. In 1981 the Health Maintenance Organization billl was passed, allowing doctors to sign contracts with insurance companies. At that time most medical practices were private and independent. Over the next 25 years Health Insurance Plans were indemnity plans, which evolved into Health plans. Invasive regulations created oversight and bureaucracy increasing the costs to medical practices. Prior authorization for services increased the workload and delayed treatments. Billing and reimbursement issues became very cumbersome, increasing overhead substantially. The days of one doctor and one 'nurse' in the office dissolved into major business. 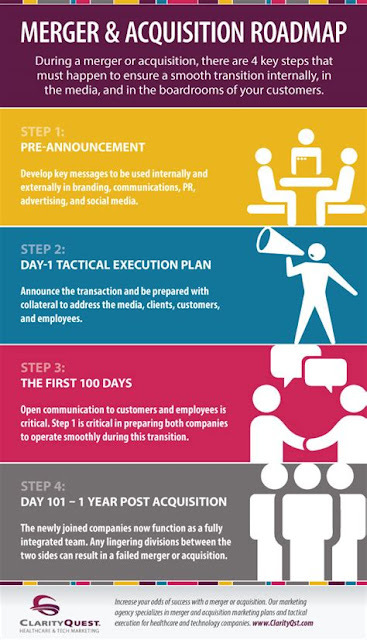 The increasing overhead led to acquisitions, mergers, and a transition from solo practice to group practices. In 2006 the use of electronic health records was mandated by CMS and HHS, in order to be fully reimbursed. Further inflationary funds were given to doctors to purchase EHRs. There was no funding for ongoing maintenance or replacement of IT systems. The benefits of the federal largesse were vendors of IT system. The money given to medical practice, and hospitals flowed through to vendors and software companies. The 'incentive' was a perverse combination of penalties for non compliance and an increase in fees for those who 'complied'. Other issues arose, the conversion from the ICD-9 to ICD-10 coding increased work loads for medical providers. As things progressed in the early 2000s insurance companies began to feel the competition and had diminishing profit figures, which stockholders and investors . 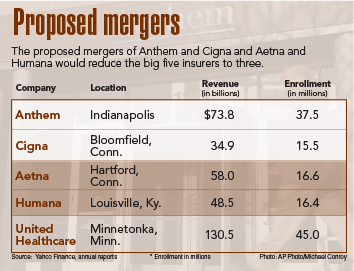 Major insurers began to merge, pharmacy companies merged with each other, or health plan to maximize their own profits. Many of these occurences did not decrease costs to the system. 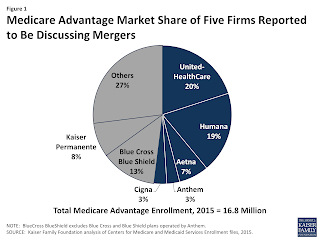 The beneficiaries were the major insurrers, pharmacy benefit programs. Gone were the days of the independent pharmacies, much like medical practices. They are replaced by PBMs (Pharmacy Benefit Managers) with large scale contracts with advantage plans. California Medical Association, which has 43,000 members, weighed in on the proposed policy from President Donald Trump that would penalize legal immigrants who are seeking green cards for receiving government aid such as Medicaid. “Discouraging participation in Medi-Cal (Medicaid) could result in coverage losses throughout California, decreased access to care, and worse health outcomes for entire families, including children, many of whom are U.S. citizens," wrote Dr. David H. Aizuss, CMA president. site of care in which hospitals can earn payment. 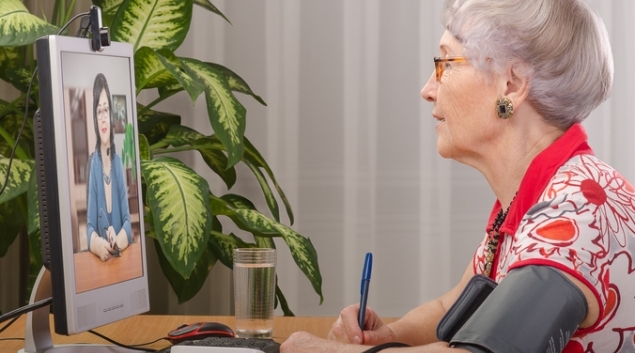 This past October, the Centers for Medicare and Medicaid Services came out with an eagerly-anticipated new rule expanding the ways providers can use telehealth and get paid by Medicare Advantage plans. The biggest way the rule changes the status quo, once it goes into effect in 2020, is that providers will be able to keep track of a patient's health through remote monitoring and consumers will be able to connect to their physicians through telehealth from their homes. Let's take a deeper look at what that will mean for healthcare executives considering implementing tele-health or remote patient monitoring tools. Forthcoming policies from the Centers for Medicare and Medicaid Services will open up the home as a covered site of care in which hospitals can earn payment for delivered services. DanaFarrell’s car insurance is due. So is her homeowner’s insurance — plus her property taxes. Another option is to join a prepaid, or direct pay primary practice. These clinics offer a monthly subscription fee which covers over 90% of clinic visits. In some cases they may also cover some specialty care. The fees are much lower since they do not bill insurance and have fewer employees engaged in bureaucratic paper work. You should find out if your doctor uses a direct payment plan. 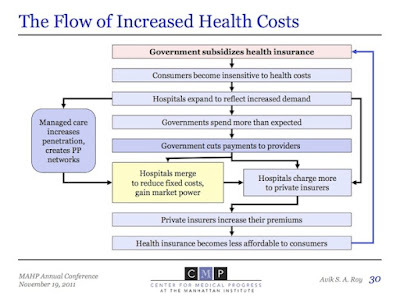 These plans are so new that the Affordable Care has not yet recognized these plans. However this is changing rapidly as copays are increasing as well as deductibles. 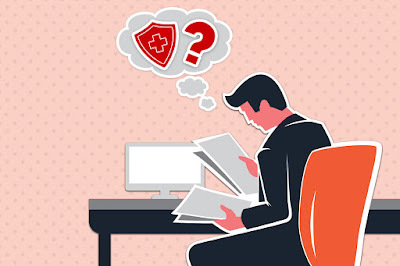 For those of you who have HSAs (Health Savings Accounts), IRS regulations are also changing to allow payment of direct payment plans to be paid from those pre-tax dollars. Check with your CPA.